Have you fixed your denture recently? You may not know how to maintain it properly or prevent it from damage. 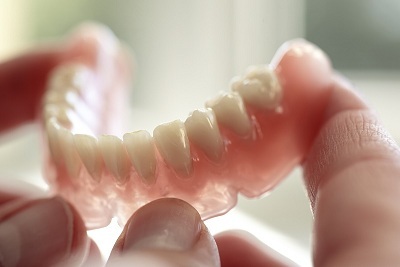 Dentures can easily get damaged if you fail to maintain it appropriately. Dentist Glebe is advising patients to follow certain things to prevent dentures from serious damage. Bacteria & germs can damage your dentures. To prevent bacterial growth, you need to follow certain brushing instructions. Brushing twice a day is the way to reduce germs and likely prevent your teeth & dentures from damage. If you fail to brush regularly, it can damage dentures and affect the nearby natural tooth as well. To stay away from dental decay and damage, be sure to follow the brushing instructions instructed by your dentist. Cleaning your denture is more important. You need to start by removing your denture from your mouth. Brush your denture with denture cleaning paste to remove food residue. Never use hot water for soaking dentures, instead soak it in the dissolveable denture cleaner. You need to brush once more after it has been soaked. Before fixing it to your mouth make sure it is well cleansed. You need to do this procedure every time after having food to consistently keep your denture free from germs. Dentists do not recommend bleaches as it can damage dentures and weaken them. Also, you need to choose the right denture cleaner for brushing. If you have dentures with a soft lining, use the appropriate cleaner that prevents your denture from damage while brushing. If you have chosen metal dentures make sure the cleaner you choose is to clean metal. If you find any trouble in choosing the right cleaner, ask your dentist to choose the right one for your denture. If you want your denture to last longer, you need to change certain habits you have. If you love to drink caffeinated products such as coffee, tea, avoid them just to keep your denture free from stains. Red wine, coffee, tea and such kind of drinks can leave stain on your denture; it will lose its natural like white. Remove your denture while going to sleep. If you keep them in your mouth throughout the night, it can cause gum inflammation and sometimes promote infection. Soak them in a suitable cleaner during night time in order to prevent dentures from cracking & warping. Finally, you need to contact your dentist often for regular checkups. Your dentures can easily be affected with improper dental care. Once you schedule a regular checkup, they help you to prevent denture damage. If you are new to denture treatment, follow the above instructions to protect your denture from damage and keep them clean. This entry was posted in Health and tagged dentist Balmain, Dentist Glebe, dentist Pyrmont by [email protected]. Bookmark the permalink.